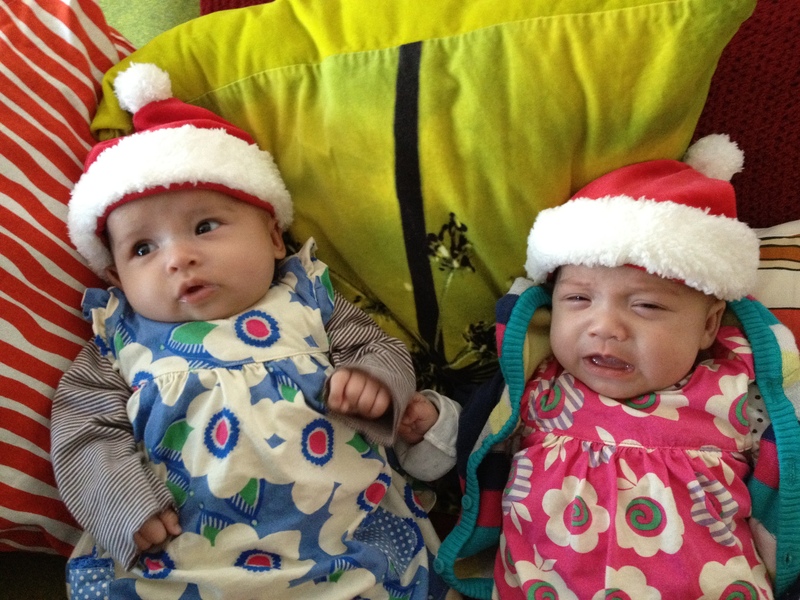 Zoey and Naomi are 10 weeks old today, and Alex has gone back to work after a long holiday (bless the advertising industry closing between Christmas and New Year). So it’s time to get back into wrangling the girls solo during the week, and dare I say add a little routine to the day (*shock horror*). The girls are still too young to have a routine (if you want a laugh read the “schedules” over at BabyCenter for very young infants) but I need to have more structure, and by structure I mean trying to figure out when I can have some “me time”. Yes, I know having twinfants pretty much writes off “me time” for the next 18 to 30 years but a girl has got to try. There is a scene in the pilot episode of The West Wing where CJ is on the treadmill explaining to her workout neighbor that this time (from 5-6am) is her time to do with what she wants, and that is pretty much what I need to start doing again. When I was working full-time, and in school I use to get up early to either fit in some studying before work or to take a 6-something yoga class. I use to love starting my day that way. Get the exercise done so it’s not hanging over head. I’d roll out of bed at 5:30am, throw on my yoga clothes, and make it to the 6:30am class. By 8am I’d be done, showered and sitting in a cafe having breakfast and reading through my set-texts before a day at the coal face. So this morning I got up around 6am and managed to do my ab workout, have a shower, fold laundry, load the dishwasher and make breakfast (coffee and bagel). Yes, it’s now gone 10am and I am knackered but I had some glorious alone time to carry me through the day.